JERUSALEM, Israel (BulgarianMilitary.com) – The forces are getting ready in the trenches. They understand that what they saw so far were minor skirmishes and that the real fighting is about to begin. This new situation has been formed by the recent acquisition of state-owned Israel military industries (IMI), by Elbit systems. The outcome is clear – the fighting between the reinforced Elbit and its main rival, Israel aerospace industries, will become a major war. So far Elbit systems and IAI were fighting fiercely mainly over UAV deals for the Israeli air force and foreign clients. The new war is about the supply of very accurate surface – surface missiles to the Israeli defence forces (IDF). This is the current battle ground, and others are expected to surface as Elbit completes to merge its capabilities with those of IMI. The Israeli government has recently approved the acquisition of Israel military industries (IMI) by Elbit systems. After a long process, all the regulatory bodies’ approvals were given to the proposed purchase that will make Elbit systems the largest defence and aerospace company in Israel. The deal will dramatically increase Elbit Systems’ dominance in weapons systems for Israel’s defence forces. One immediate potential clash is connected the decision of Israeli defence forces (IDF) ,to purchase a large number of very accurate ground-ground missiles with ranges of up to 400 km. This procurement alone, has a potential of more than 1 billion u.s $. 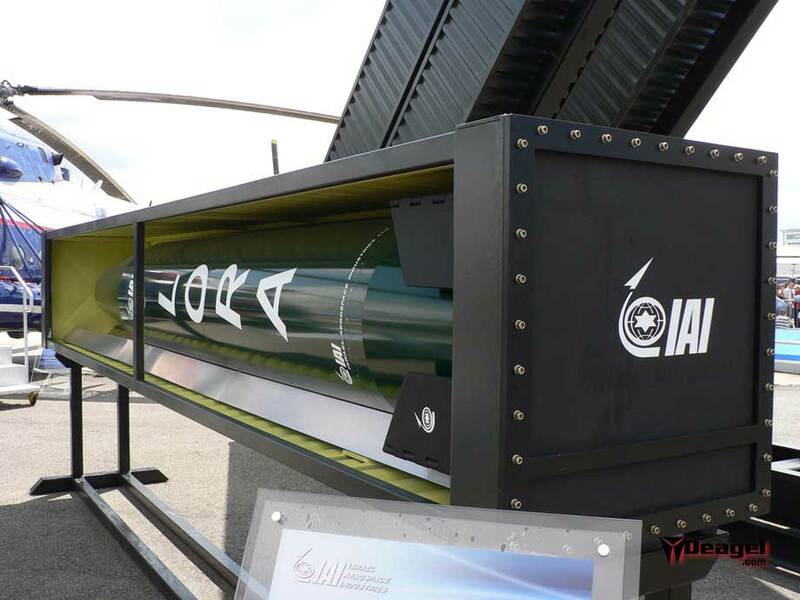 IAI has developed such accurate missiles, but the only one exposed is the Lora, an artillery weapon system which consists of a long-range tactical ground-to-ground missile developed by the company’s MALAM division. The Lora It is intended for strike scenarios with a range of up to 400 km and according to the company, has a 10 meters or better CEP. IMI has a line of such missiles with ranges of up to 150 km with the Extra missile as an example. The need for these missiles has been increased dramatically, since the deployment of the Russian S-300 surface – air systems in Syria that is limiting the almost total freedom the Israeli air force enjoyed over this country while attacking Iranian facilities for the production of surface – surface missiles. 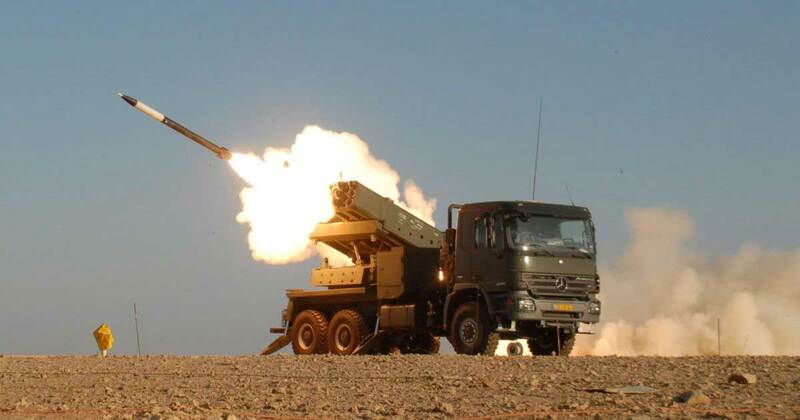 Until a few years ago, the only precise rocket available to the IDF was the upgraded, trajectory corrected multi launch rocket system (MLRS) with a range of 45 km. Israel military industries (IMI) decided to change this situation and offer very accurate, low cost solutions. The IMI concept is based on the company’s extended range artillery missiles like the (Extra). The trajectory corrected long range missile is aimed at replacing aircraft missions at a range of up to a 150 km. This missile has some other versions. The Extra, has a range of over 150 km. It will replace air-ground weapons in medium and long range strikes. The LORA is a very accurate weapon system which consists of a long-range tactical ground-to-ground missile developed by IAI’s MALAM division. It is intended for strike scenarios with a range of up to 400 km and according to the company has a 10 meters or better CEP. When the surface-surface missiles are in the focus of the new rivalry between the two major Israeli companies, another clashes loom in the not so far horizon. The acquisition of IMI by Elbit, a public company, gives it more flexibility than it has now, and this flexibility is big compared to this of IAI, a state-owned company. This flexibility becomes critical after the new Foreign Military Funding (FMF) came into effect, in Early October. While some industries, especially the public ones like Elbit systems, have been working hard to get ready for the new reality, other industries, mainly the state owned, are still in the process of adjusting themselves. According to the new ten years FMF agreement , Israel’s ability to convert 26.3% of annual FMF grants from dollars to shekels for use in Israel (Off-Shore Procurement (OSP)) remains in effect until FY 2024 and is gradually phased out, ending in FY 2028. Israeli defence sources said that within a few years of the start of the process, it will become clear that all the knowledge transferred to American industries, whether owned by Israel or owned by the US, will be available to the major industries of the United States. At this point, the largest defence industries in Israel will begin to suffer from the international competition in selling their products worldwide. Elbit systems has some very active subsidiaries in the U.S. This will facilitate the adaption of new strategies that stem from the new FMF rules. IAI also has U.S subsidiaries but until now they have been slow in creating a presence in the American market. The new IAI chairman and president are busy those days in strengthening the effectiveness of the company’s U.S subsidiaries. The two companies were ask to comment on their preparations for the new situation. The IAI spokesperson said that the company will continue to offer and supply the best defence solutions and systems to Israel’s defense and security needs, as we have done in recent decades. Elbit systems refused to refer to any future implications of purchasing IMI.